There are several advantages to choosing duffel bags when traveling. For one, they are lightweight and easy to carry, making them convenient for trips of all types and durations. They’re also collapsible, making them perfect for conserving space. 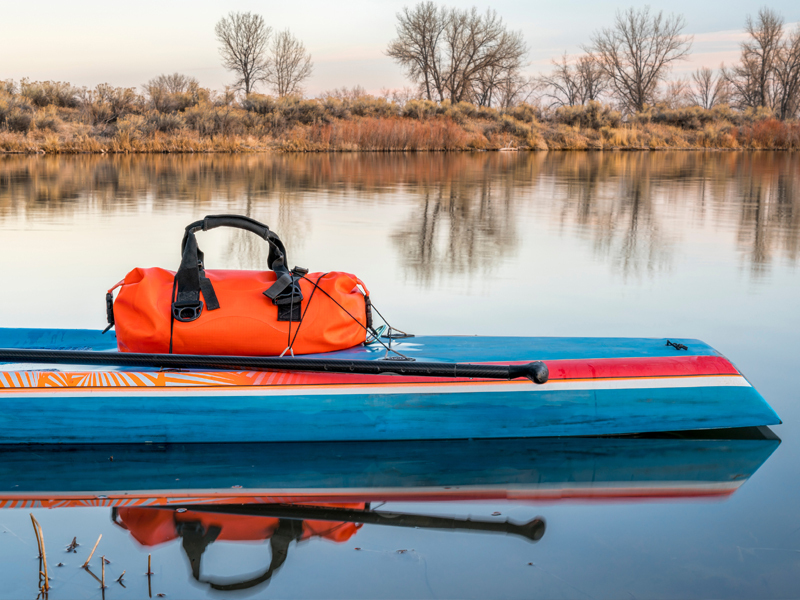 The versatility that duffel bags offer is practically unmatched. When not on-the-go, they’re the ideal bag for commuting and for trips to the gym. To help you choose your next multi-functional duffel bag, we’ve put together a list of our top picks available on Amazon. So, without further delay, we present to you the 8 best duffel bags on Amazon for traveling! One of the main draws of duffel bags is their portability and ability to collapse for storage. The adidas Diablo Small Duffel Bag take these concepts to the edge of their potential by offering plenty of interior space in a compact package. It’s perfect for use as a carry-on and for day-to-day use, especially if you’re an athlete or someone who frequents the gym! For day trips or commuting, the S-ZONE Genuine Leather Duffel is the go-to bag for the fashion-forward. It features high-quality canvas that is durable and lightweight, as well as leather handles and trim that will last for years and look good doing it. With six different color combinations, there’s sure to be an option that was practically designed with you in mind! This multi-pocket bag is one of the best choices for travelers. It is incredibly durable and the designers put a lot of thought into maximizing the life of the bag. The Under Armour Storm Undeniable II features an abrasion-resistant base to protect it from scuffs and more serious damage. It is also constructed of water-resistant materials to help keep your clothes and other possessions safe no matter the elements. The Plambag Canvas Duffel features enough pockets to stay organized on-the-go and keep necessary items easily accessible. From the quality cotton canvas to the durable oversized zippers, everything about this bag is designed with durability, style, and functionality in mind. Chances are, this bag will quickly evolve into your go-to for business, camping, longer trips, and everything in-between! For a feature-packed duffel that maximizes both value and space, look no farther than the bago Travel Duffel. It is completely collapsible when not in use, but expands to the largest acceptable carry-on size for convenience when traveling. It’s a durable, lightweight, and waterproof option that is sure to make your journeys more organized and less stressful! This hand-washable bag is so lightweight and durable it’s actually astounding how roomy it is. Whether going to the gym, heading to camp, or boarding a flight, the Samsonite Tone-a-ton Duffel is the perfect portable bag for all occasions. If you identify with the statement “all day I dream about storage,” the adidas Defender II Duffel is probably for you. With a lifetime warranty speaking to the high-quality construction of this bag, you can rest assured knowing that this roomy bag will remain functional for years to come. It also comes in 35 color combinations, so you’re bound to find one that fits your preferences perfectly. With premium materials and a multi-functional design, the Olympia Sports Plus Rolling Duffel is the ideal bag for travelers who need a lot of storage space and who walk frequently. The handle can be hidden when not in use, allowing the bag to be carried in a more traditional way. It also features eight pockets for convenient access to your possessions!